Support arts education in the Coachella Valley and see amazing artwork from talented up-and-coming young artists. Families, friends and the public are invited to a reception and awards ceremony acknowledging this year's High School Scholarship winners. Six winners will each receive $1000 towards higher education tuition at a college of their choice, and six runners-up will receive a $100 gift card to Jack Farley's Art Supply. Since 1965, the Desert Art Center has been awarding scholarships to area high school seniors who plan to continue their arts education in college or arts school. 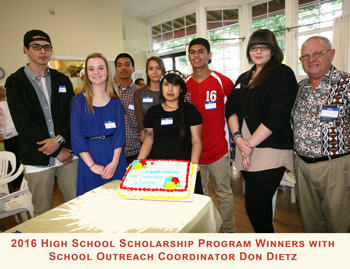 Last year, $6,000 was awarded to seven students, says Don Dietz, a DAC member who has headed up the Scholarship Program for the past five years. Besides the High School Scholarships, three others are given out each year on behalf of private people: the Vaughn Davies and Barry Wiener Scholarship, the Margery Holly Memorial Scholarship and the Anna de Luca Scholarship. The Desert Art Center solicited applications from the Palm Springs Unified School District and the Desert Sands School District. The scholarship award amounts are determined each year based on the financial performance of the organization, and DAC has been fortunate to provide more funding to scholarships in recent years. 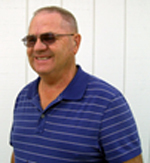 Don works closely with the visual arts teachers from the area high schools. The application asks students about their future goals and includes a letter of recommendation from their art teacher. They also must include two images of their work. Any medium is acceptable, including 3-dimensional work and clay. “The DAC is wonderful and helps our students immensely,“ says visual arts teacher Taunyo Jones-Hidalgo, from Mt. San Jacinto High School. “Our students can go to school without the burden of paying for school, so they can focus on their studies.” Taunyo says her students are eager to display their work, which includes mostly acrylic paintings. Taunyo encourages her students to apply for the DAC Scholarships by showing them past students’ work , and discusses how much they can learn in college. She says that most of the students use the scholarship money for tuition and supplies.